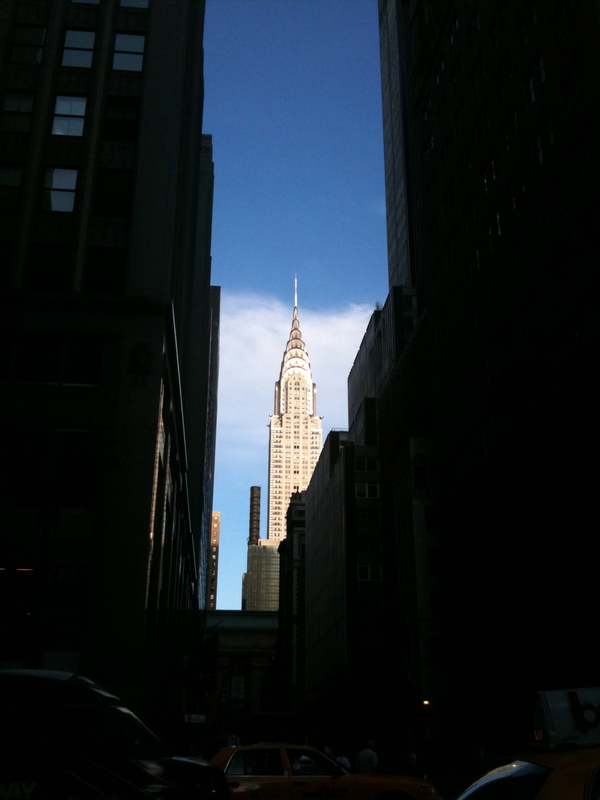 Ahhhh another week in the big apple. Overall I am very happy here. I was also very happy in Arkansas. I believe that is a testament to “living in the moment” and cultivating peace moment by moment–all these types of things that I have been studying and working on over the past two years. So far, I am not making enough money to live within my means here. It is promising because I now know how to make money here and I have relationships with lots of different places that I have fairly easily gotten back in touch with–it just takes time to get back into systems and back on schedules. Also my yoga training takes up a lot of time. Which is great–I love it, but it takes up money making time so I hope that when I return to Arkansas in December/January I will be working my tail off at Nirvana and resuming with my private clients! Anyway, like I said, though I am very happy and having lots of fun experiences here. Most recently, I have now seen How To Succeed in Business Without Really Trying starring Mr. Harry Potter, Daniel Radcliffe. Check out the website at http://www.howtosucceedbroadway.com. It was so fun and refreshing. We laughed through the whole thing. This was truly musical comedy at its best! Daniel feels like he’s your childhood friend–I’m sure it’s due to “growing up with him” over the past 10yrs with Harry Potter. I find myself rooting for him “Isn’t Daniel just doin’ such a great job?”! He is very talented. I also got to see him in Eqquis several years ago–an amazing but haunting and sickening show. (Yes, this also means I saw him naked). He has a remarkable career–getting the opportunity to play such an wide array of character and venues. Also, I got to see Elaine Stritch’s Cabaret at Town Hall which was a such an experience. I took my BBF. (I got $25 tickets that were actually good seats!!) She wore her traditional cabaret outfit, apparently…a long sleeve white button up blouse with black hose and heels…and that’s all. Wow. She does have some long thin legs though. She’s looking good at 86! She decided to do an evening of Stephen Sondheim songs. I think she only made it through two without asking for word help from her amazing accompanist. But I didn’t care one bit. For one, she’s a 86 yr old Broadway legend and I’m pretty sure that means she can do whatever the hell she wants to. Also, she managed to stay right there in the moment with the same emotional connection despite asking for words. She is raw and unrestricted and the result was an amazing show experience. She told so many stories, did a monologue of Everyday a Little Death, (which I sang in Putting It Together), and sang her iconic version of Ladies Who Lunch, which I, personally, never wanted to end. I also got to see her last year in A Little Night Music, but this was a great night and experience. Already Favorite felafel place: Chickpea. 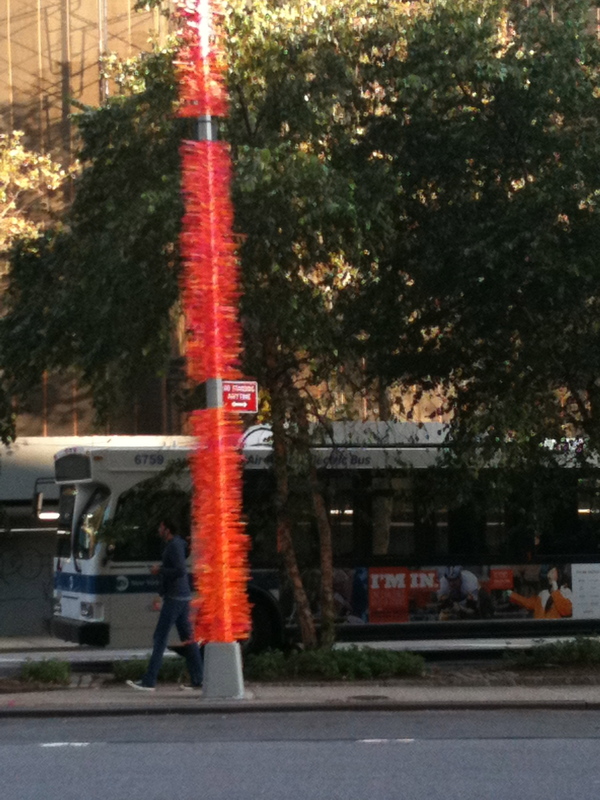 I go to the 14th St and 3rd Ave location but I believe there are at least 2-3 more. It has evolved SO much since I first went there 4yrs ago and it was a little hole in the wall. Now it has a remodeled interior and fancy fillings for your BAKED falafel pita like jalapeno scallion hummus and tabbouleh/salad/corn salsa/olives/bell peppers/onions/pretty much anything else! For $5. They have not recently had baklava though and it’s on the menu, so they’re going to need to remedy that. Kyle took me to a cute French Bistro, Saju, on 44th right off of Times Square. We agreed there were a lot of tourists there, but that they were tourists who had asked locals where to go! We had pots of mussels and french fries. 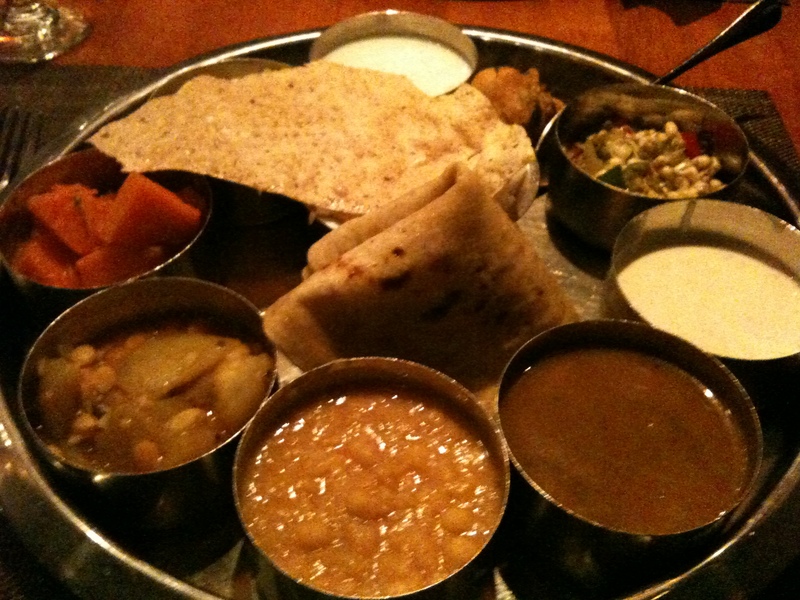 (But I immediately felt vegetarian guilt and only ate 5-6. Don’t worry, Kyle ate the rest of mine.) Best part is the huge bowl of olives they serve you–my mouth is watering just thinking about it. 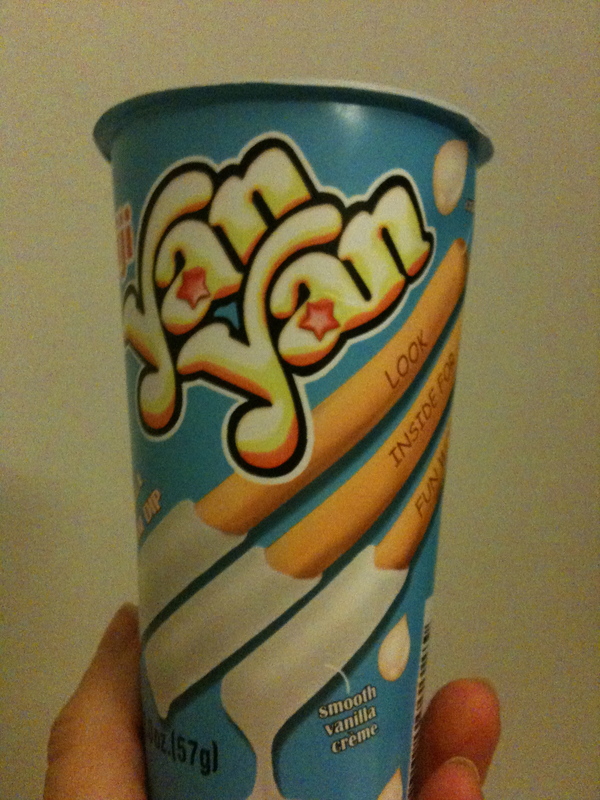 Yan Yan. This is a delicious unhealthy snack/dessert. These are Japanese cookie sticks that you dip in icing, pretty much. I like the vanilla one. The stick have animal phrases on them such as “zebra…herbivore, Octopus…lucky number 8, & sheep…wool sweaters.” Heehee. Trader Joe’s. Well that’s the first thing–just having access to Trader Joe’s is wonderful. 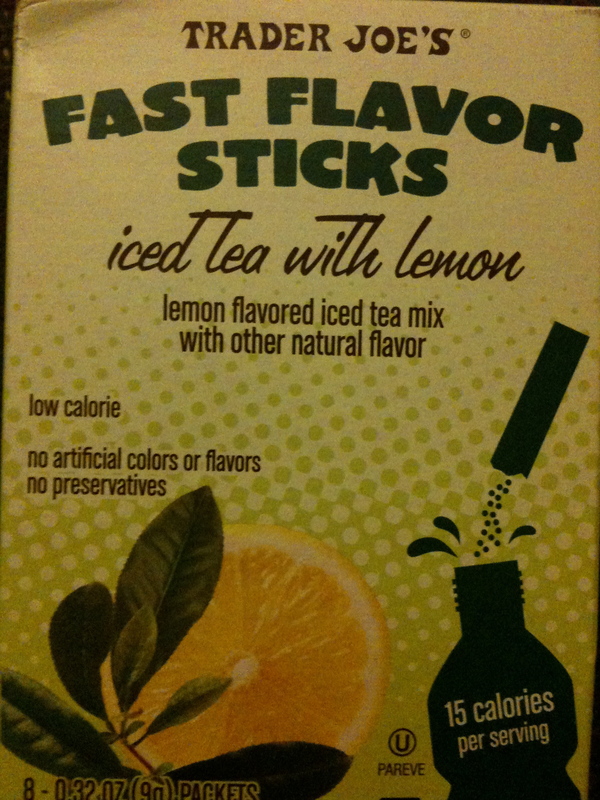 Then TJ’s Fast Flavor sticks you add to your water–delicious and NOT sweetened with aspartame but stevia. It’s healthier crystal light. 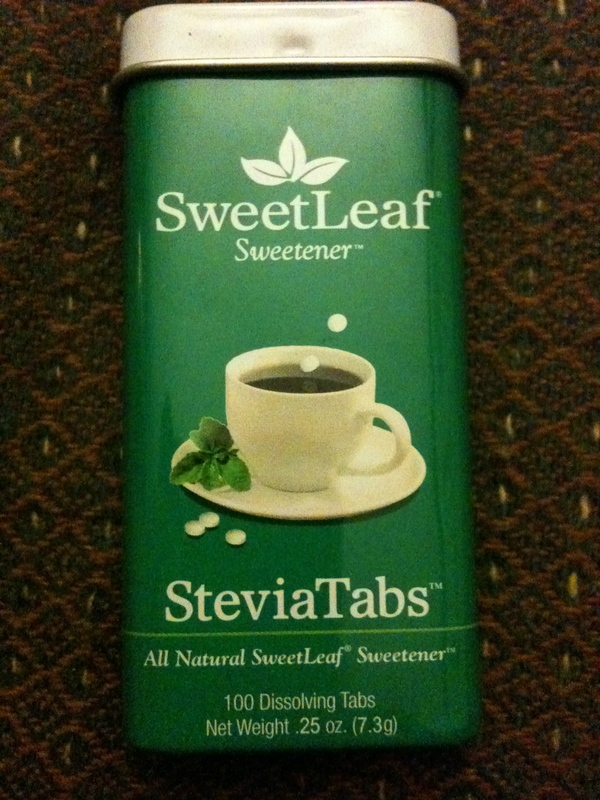 I love these Stevia Tabs I found at the health food/grocery store in my neighborhood. I bought this for about $6.50. There are 100 tabs, so this ought to last me a long time. I have just been keeping this in my purse so I have it to add to hot tea etc. Believe me, I wish I was adding it to iced tea, but that is, sadly, something NYC is missing. (And I’m missing too. You really can’t get iced tea anywhere–and free refills? Forget about it!) Also, no individual little packets and I think I can recycle this metal container when it’s empty. 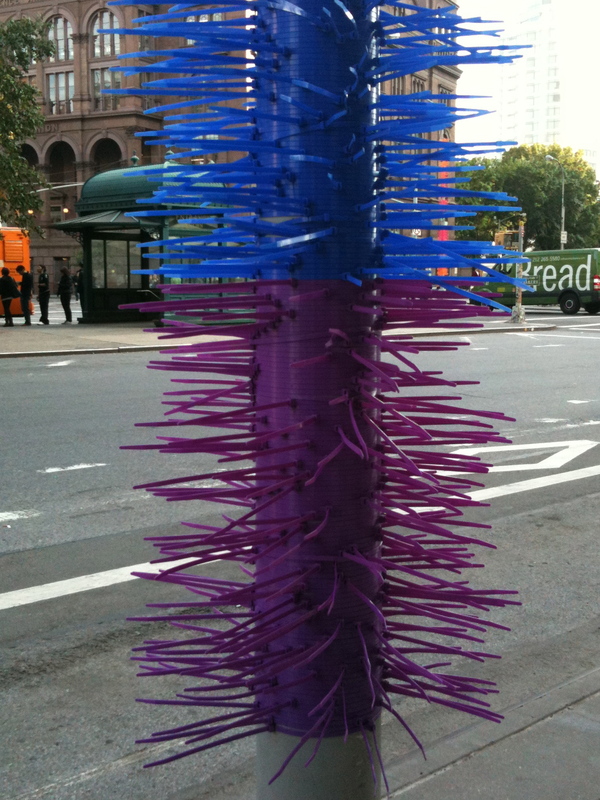 Twisty Tie Art covering poles at Astor Place. I realize they may have another more appropriate name, but I like Twisty Tie Art. 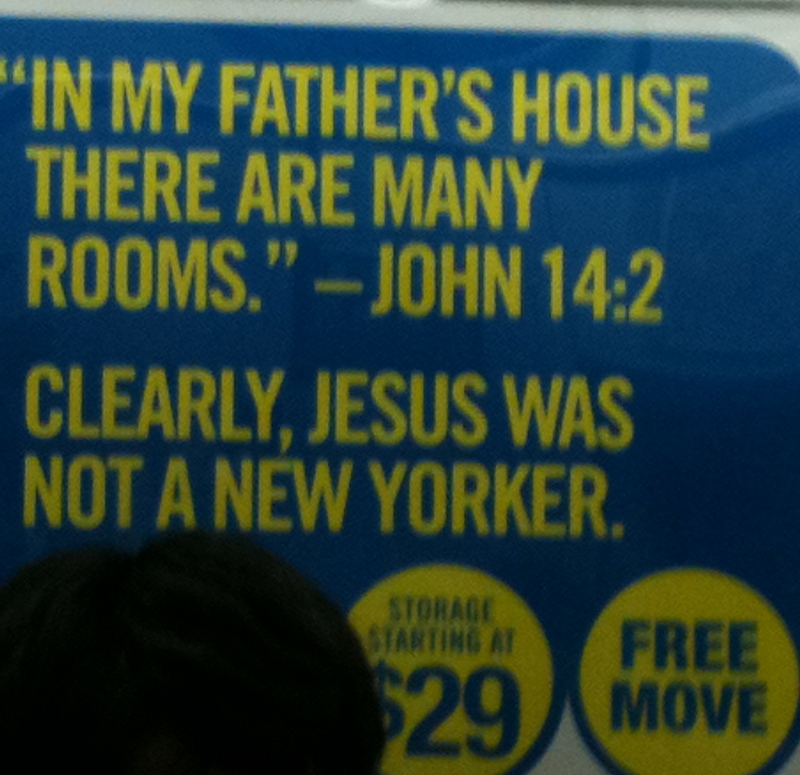 Funny Subway advertisements! This is for storage–HA! And on ending note…one of my favorite things, among many, that aren’t in NY…baby Shogun. 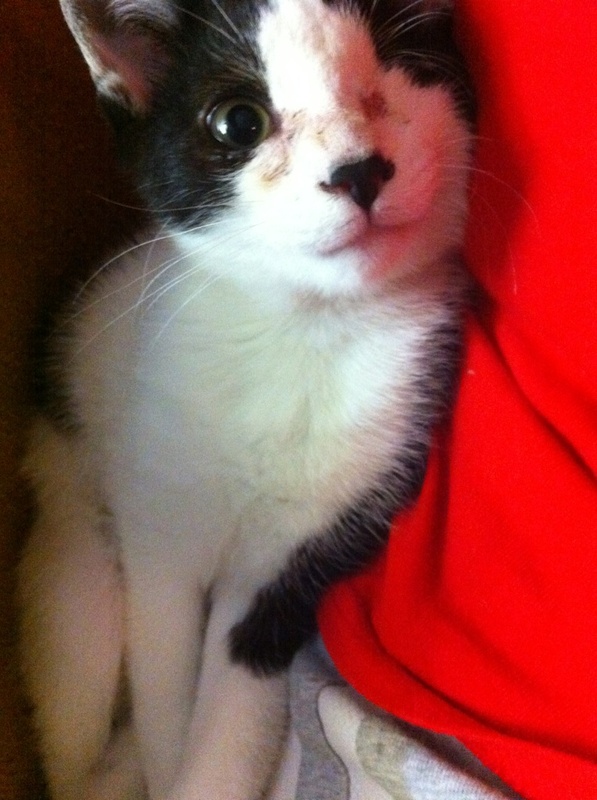 Finally all healthy and healed, one eyed, a little dirty faced and precocious.